﻿ Does Your Car Reveal Who You Are and Your Personality? Believe it or not, those four wheels that you choose to drive around on each day say a lot about your personality. Car make and model choice often reflects taste and interests. Size, engine type and advanced technology features can also sway car buying decisions. Is your car flashy or practical? Is it big and loud or does it run quietly on electricity? For those driving around in an over-sized Hummer or the far different eco-friendly Prius, it’s easy to stereotype and formulate quick assumptions about lifestyle. A minivan brings to mind visions of a soccer mom running around with a car full of kids while a Tesla may suggest the CEO of a new startup is behind the wheel. You may even be able to determine information as personal as the driver’s political views, according to Forbes. The magazine reported that the vehicle sitting in your driveway could hint at your age, gender, income level and marital status. Furthermore, the difference between owning a mini van or a smart car could give indications about your education level and levels of Internet use. The 2009 report of the annual New Vehicle Experience Study by market researcher Strategic Vision found that only 87 percent of all Chevy drivers use the Internet, compared to 97 percent of Honda drivers. In addition to their active online use, Honda owners are typically well educated. Seventy percent of them have a college degree or higher while only 45 percent of Ford and 35 percent of Chevy owners do. Cobalt blue or jet black? According to Business Insider, the color of a car could be the make or break when it comes to sealing the deal on that sale. 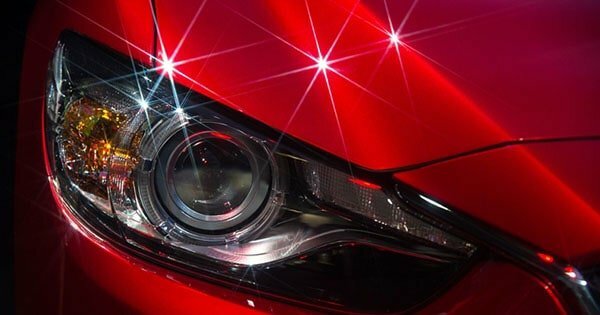 In fact, car color has such an impact on sales in the automobile industry that the top manufacturers pour millions of dollars into researching the most popular hues each year. The classic fire engine red has long been a popular shade for sports cars. White was one of the most favored vehicle colors in the 1970s and 1980s and after a lengthy hiatus it’s made its way back. More than one car designer has referred to this as the “Apple effect.” Associated with the bright white of Apple products, the color has made a comeback on a number of models. However, according to Oona Scheepers of Volkswagen, black was still the manufacturer’s best seller and resonates with those who consider themselves sporty. At a Detroit car show earlier this year, chief designer of colors and materials at Ford, Susan Lampinen noted that car color preferences are quite similar across different countries. However, the environment and climate can play a large role in color choice. For example, those living in hotter climates are less likely to purchase a car in a dark hue, opting instead for lighter colored vehicles that are less likely to trap heat. Colors aside, here’s what others may be thinking about you next time you turn out of your driveway. The average owner of a pickup truck is typically a middle-class male who enjoys the outdoors and a lot of hands-on work. These pickups are ideal for towing and hauling and known for their power and control. According to Global Car Brands, their owners are often seen as workaholics. The minivan is universally synonymous with a big family with young kids. Like all other decisions in their lives, parents with young children need to make choices based on the safety of their family. There isn’t a whole lot of choice when it comes to buying a family car and parents typically choose between and a mid-size SUV or a minivan. Those driving around in small vehicles such as a Honda, Prius or other smart car are likely to live in a city where parking is much easier with a smaller set of wheels. Fuel-efficient cars indicate environmental awareness and the desire to minimize pollution. There’s no question that drivers rolling around in Lincolns and Jaguars not only enjoy the luxurious lifestyle, but also have the means to afford it. According to Global Car Brands, owners of luxury vehicles care about comfort, brand and status. Practicality and fuel-efficiency are far from their radar. If you’ve got the perfect car for your personality, be sure you’ve got the perfect car insurance for you, too. We compare. You win. Get your free quote comparison today.